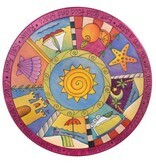 "Beachy Pie", designed & hand crafted by Sticks is absolutely beautiful with bold distinctive etchings and rich colors. 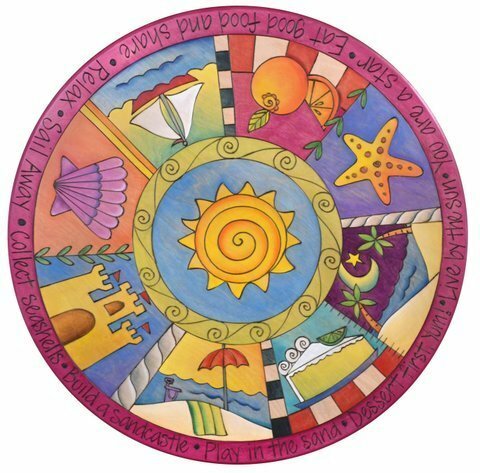 When not it use, the 20" Lazy Susan may be used as a centerpiece or simply hung on the wall. As each creation is entirely hand made there will always be slight variations. Made in the USA. Ships directly from Iowa, expect 3-4 weeks. Price includes free shipping.